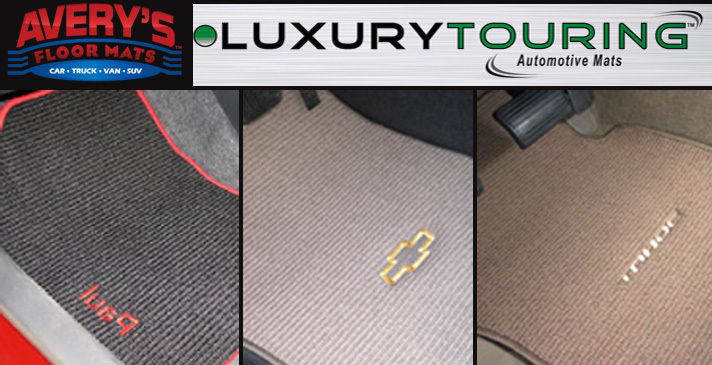 Custom Tuflon® plush automotive carpet made to fit your vehicles interior exactly. Avery elegant Berber carpets are custom made to fit your vehicle, in densely-woven 42-oz. nylon yarn, with serged edges and a rubber nibbed backing. Available in five contemporary colors. We have a combination of front and rear mats to fit nearly all vehicles. Custom-made in the USA; allow 2-3 weeks for delivery. Supplied as OEM by many European Car makers. The lush, Berber weave traps dirt and moisture to protect your original carpet. It's thicker and tighter loop provides one of the toughest carpet floor mats you can buy, gives your vehicle that "first class" appearance. All rights reserved. All prices and specifications are subject to change without notice.